*** OUT NOW *** iTunes: http://bit.ly/114frUU beatport: http://btprt.dj/11xPoMR Celebrating ten years of Toolroom Records, we bring you not one but two momentous remixes from the legendary Digitalism, taking their trademark sound to two immensely successful bands, Bloc Party and The Rapture. Poised to take over the US on their upcoming tour, Digitalism continue to be at the top of their game. The recent rerelease of ‘Zdarlight’ on Toolroom received huge support worldwide, twice charting in the beatport top 10 and crossing genres with its eclectic remixes. Bloc Party are undeniably one of the UK’s most cherished and talented bands, with countless sell-out international tours and four critically acclaimed artist albums. Taken from their current album ‘Four’, Bloc Party‘s hugely successful single ‘Truth’ has already captured the hearts of the indie rock audience with its simple message and beautiful melody. Now, Digitalism re-establish the track with outstanding results. Keeping Kele Okereke’s vocals at the fore, Digitalism layer on the synths and electronic textures to create a beautifully balanced indie dance tune set to ignite the upcoming festival season. 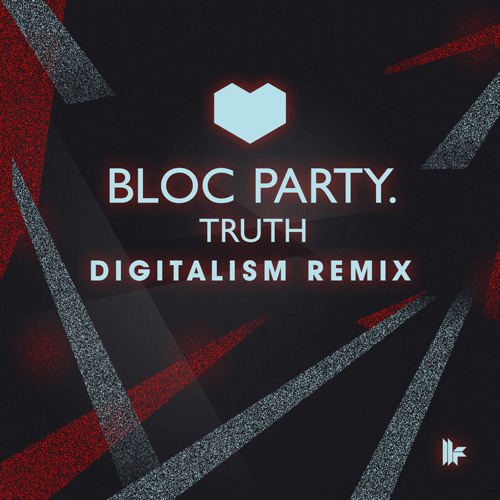 It’s an exhilarating match when two groups of artists that perfectly compliment each other collide and Bloc Party‘s ‘Truth (Digitalism Remix)’ is an example of just that. Following this outstanding release, we bring you the second installment from Digitalism with their amazing remix of The Rapture’s ‘Sail Away’, out 3rd June. Love it. This was my favorite song of their album. thank you soooo much n is da a extended mix ?? please let me know ? why was this not the whole song? !